Alex Livesey/Getty ImagesFred (left), Neymar (center), and Firmino (right) are widely expected to be celebrating at the end of the 2018 World Cup. Brazil, which lost in devastating fashion at home in the last World Cup, is a strong favourite to win the tournament this year. And Neymar is a popular pick to be the top scorer at the World Cup. The World Cup is the biggest sporting event in the world, and members of the winning team become heroes of an entire country, and earn sporting immorality. But which team will earn its place among soccer legends this year? We looked at choices made by experts from ESPN FC, Sports Illustrated, The Telegraph, and The Guardian, as well as comments made by a panel of experts attended by Business Insider and tallied them up. It turns out Brazil was the overwhelming favourite to win this World Cup and avenge the disappointment of its semi-final defeat on home soil four years ago. Other popular picks to win the World Cup this year were France, Germany, and Spain – although it is worth noting that most of the picks were made before Spain’s abrupt decision to fire head coach Julen Lopetegui. 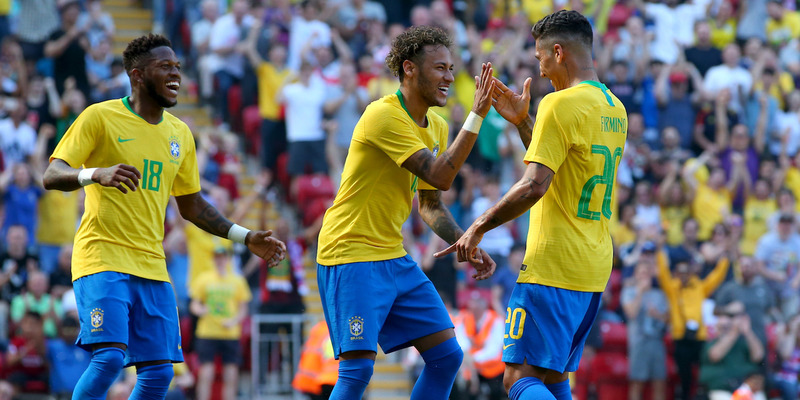 With Brazil such a popular pick to win it all, naturally, Neymar was most experts’ pick to be the top scorer at this year’s tournament, although a few also expected his teammate Gabriel Jesus to win the Golden Boot. Another popular pick for the World Cup top scorer was France star Antoine Griezmann, who won the Golden Boot at the most recent Euros. Interestingly, not too many people were predicting that Messi would be the top scorer this year, and none of the experts we counted picked Cristiano Ronaldo for the award, likely due to concerns that neither player has the supporting cast necessary to go far enough in the tournament to rack up goals.